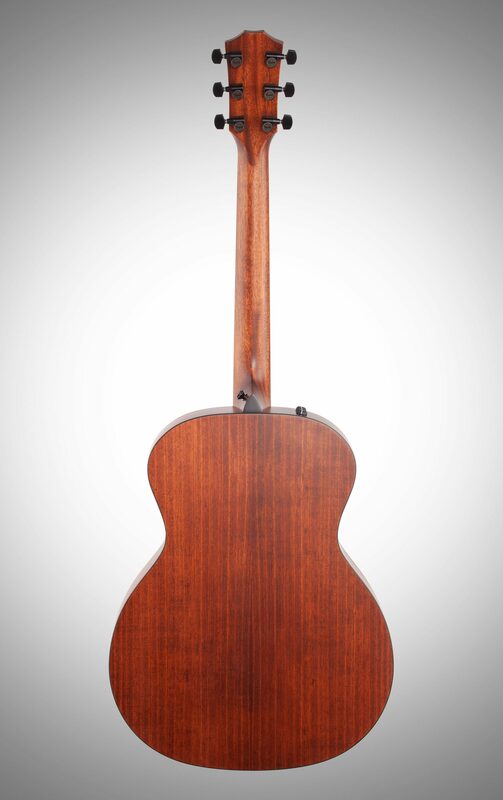 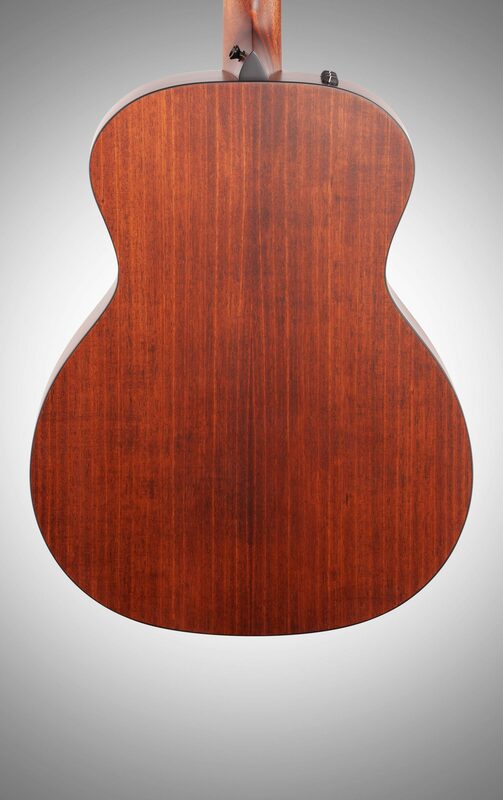 A rich-grained mahogany top paired with Tasmanian blackwood back and sides give Taylor's medium-size 324e Grand Auditorium body plenty of tonal and visual character. 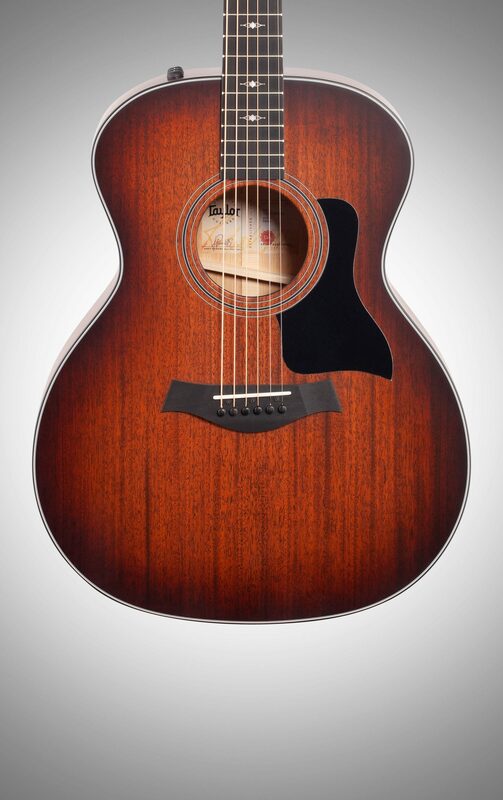 The clear, punchy midrange behaves well in a mix with other instruments, and delivers the kind of musical versatility that makes this a reliable guitar in different playing scenarios. 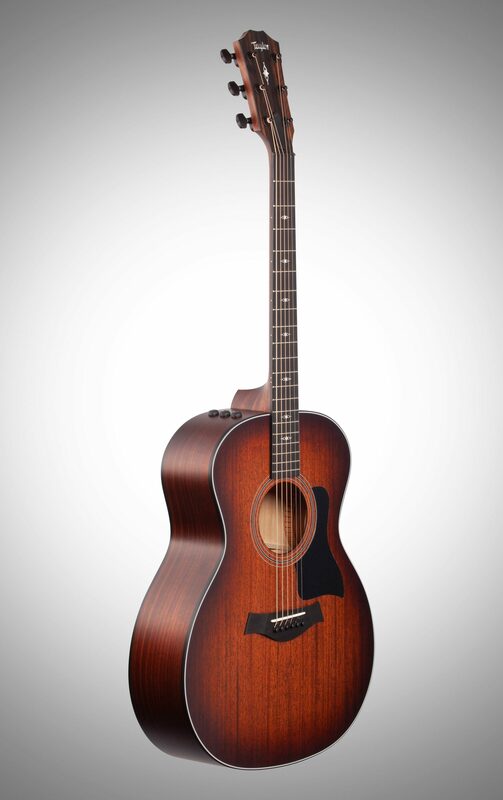 Neo-traditional appointments complement mahogany's dark, vintage looks, including a shaded edgeburst top and all-satin finish. 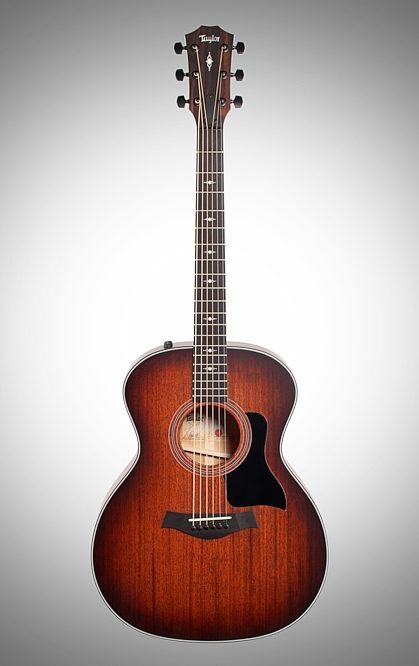 The guitar comes equipped with Expression System 2 electronics for a dynamic amplified acoustic sound. 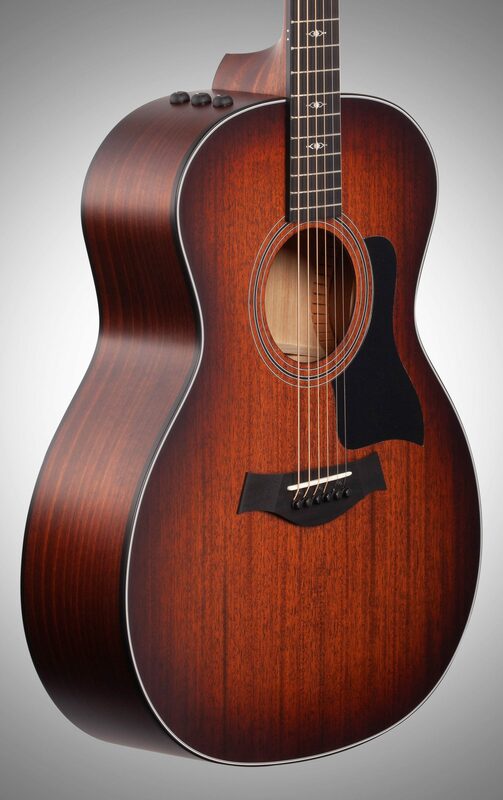 Taylor's signature shape embodies the ultimate all-purpose acoustic. 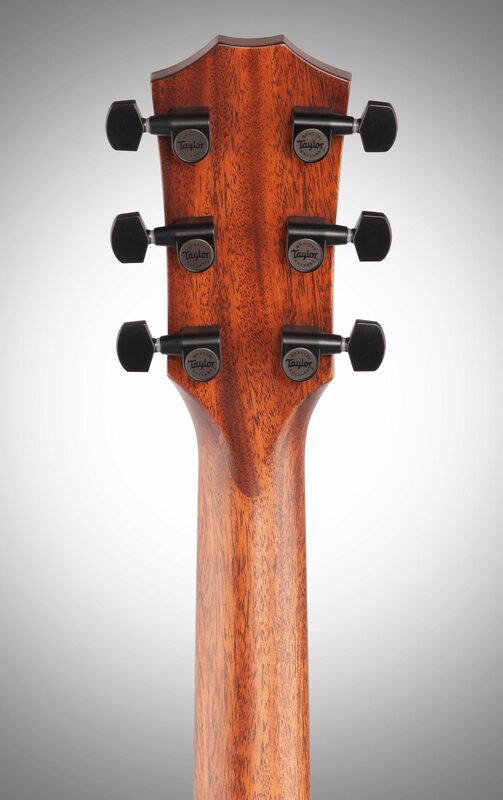 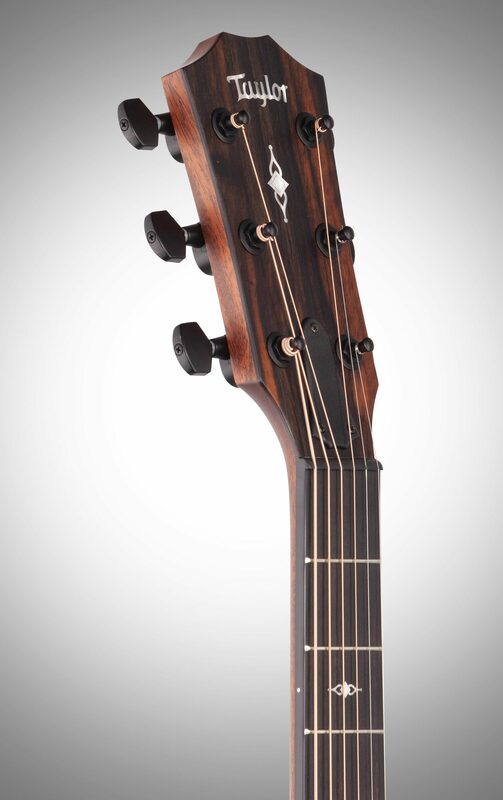 The Expression System 2 captures more of a guitar's dynamic properties using a breakthrough behind-the-saddle design.